Live between cones, budgets and fulltime schedules. Interview with Ilaria Angelillo of the Clover ice-cream parlor. After the interview with Fabrizia Ventura the blog of Ristomanager continues to dye pink. This week, Ilaria Angellilo, 35-year-old Milanese ice-cream maker, takes the floor. The love between Ilaria and the ice cream cones was born by chance, when her family took over an ice cream parlor, the future Clover. And it is then that the life of Ilaria is divided into a before and after. 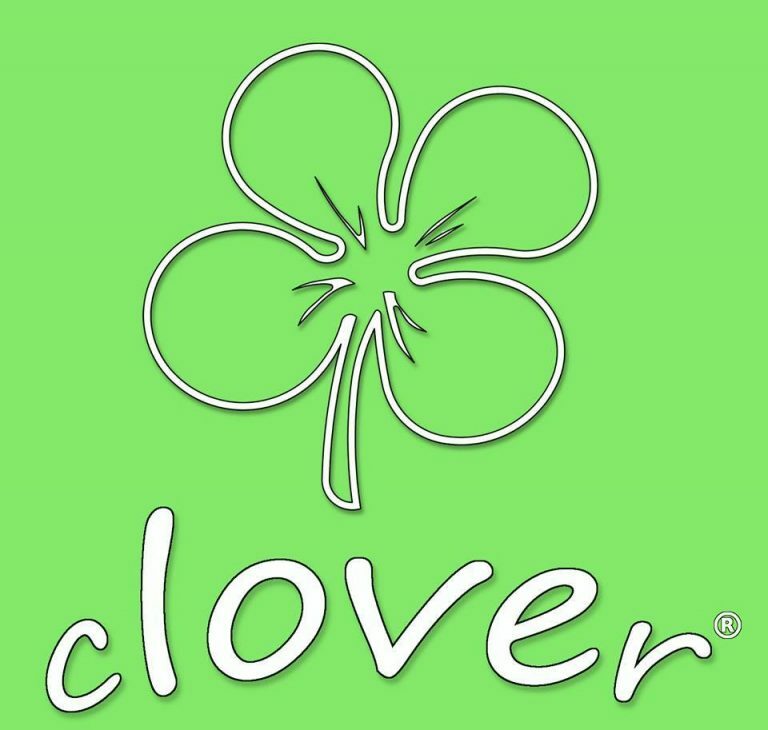 In the first there was a degree in Education and a long career as a community educator, in the “after” there is Clover. And there are the ice cream cones, the rows of patrons, the balance sheets and existential typical of those who have an activity. Positive and negative balance sheets, which in any case do not discourage Ilaria or her partner, responsible for the accounting part. On the other hand, she is the creative, who amalgamates and creates new tastes, because it is not limited to pre-packaged tastes. In a Milan of skyscrapers and hasty passers-by, in an industrial Milan, Ilaria believes in artisanal gelato. And now, it is her who speak. Hello Ilaria, can you tell us who you are, how old are you and where do you live? 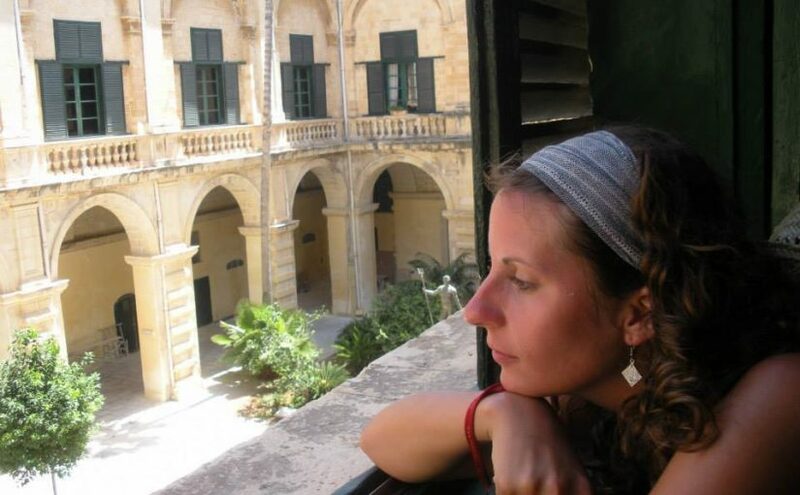 Hi, I’m Ilaria, I’m 35 and I’ve always lived in Milan. What did you do before you became an ice cream parlor? I graduated in Education Sciences, and I worked as an educator for more than ten years in various contexts, including prison, day care centers and residential for the disabled, minor communities. What prompted you to open an ice cream parlor? The proposal was made by my family, who had the opportunity to start an ice cream shop and I immediately accepted with enthusiasm. I have always loved the idea of ​​working in the field of nutrition. Are you enthusiastic about having embarked on this adventure or would you go back? What are the positive and negative aspects of your business? The question is a bit ‘ambivalent: in some ways I like it a lot, but the difficulties are very high, and sometimes I would like to go back … but the positive aspects are many, and on balance I would not change my current work with the previous. Among the positive aspects of this activity there is the possibility to be creative, to invent products, tastes, recipes, formulas. Creating something that makes customers smile and that improves their day, even for five minutes, is a wonderful feeling. As well as hearing comments such as “I was looking forward to picking up your ice cream”, or “I come from Trezzano on purpose to get ice cream from you” makes the fatigue of a whole day disappear in a second. Your personal consideration about who opens ice cream parlor or general restaurant business in Italy? On the other types of restaurant business I do not know, but i know ice-cream parlors are concerned, I see that many people rely on “turnkey” franchises that offer semi-industrial products for an easy and profitable job. So we find around hundreds of ice cream parlors that offer ice cream with a standardized flavor, so much so many people are convinced that ice cream parlors always offer “prepackaged” products in sachets. On the other hand, especially among young entrepreneurs, I see many people who study and open ice cream shops that use quality products and recipes, which are bringing artisan gelato to very high quality levels. There is also to say that opening business in Italy is also a courageous choice: taxes, operating costs and bureaucracy make it very difficult to manage a small business, which can not be compared to a large company. What would you recommend to those who want to open an ice cream parlor? First of all, ice cream courses are not sponsored by companies that sell semi-finished products. Look for serious schools, which explain the fundamentals of the ice-cream parlor, how to balance the blends, how to create their own recipes from scratch. Also, study the area really well and make an accurate business plan. The market is now saturated, and in order not to fail it is necessary to differentiate its offer by adjusting it according to the target of the territory. And preparing for a life full of sacrifices, the job of ice cream makers is really tiring from all points of view, both physical and mental. There were days in which I worked 17 hours in a row, continuously raising buckets and 10-12 kilos trays and continuously passing from the laboratory to the counter, but they have to be taken into account, especially in case of sudden absence of some staff member : the ice cream parlor has schedules to respect, and it is up to the holder to cover the shifts uncovered, as long as it is possible. Do you thank someone in particular for the goals achieved in your career? Well, I can not yet say that I have achieved particularly important goals, but I certainly have to thank my family, which allowed me to start the business believing in my skills (without an initial investment in Italy, it is very difficult to open one’s own business ), the teacher of the ice cream course, Alice Pagani, who teaches his students with great professionalism the foundations of the ice cream shop, and my partner, who takes care of the bureaucratic-administrative issues of the store and supports me in moments of discouragement, making me always re-center on future goals and not on the small failures or adversities that I can encounter daily. We continue our interviews, for readers of ristomanager, to present excellence of the Italian restaurants and after interviewing the pizza chefs Marco Stango and Roberto Gallo, today it’s up to Fabrizia Ventura, a chef who has built his professional affirmation following basic principles of the relationship between cuisine and art and curiosity towards new flavors and new tastes. His career path is not taken for granted, in fact the cooking skills are combined with a degree in Art History and the experience gained in the world of communication. Worlds apparently distant, but which, over time, merge into an unquestionably innovative and creative professional project. 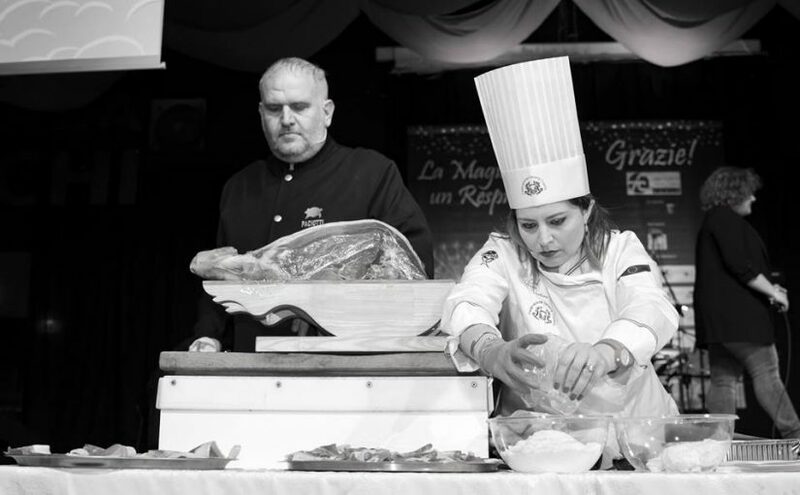 Currently engaged as a Chef Designer member of the Italian Chefs Federation, in various collaborations in Italy, for training, the realization of industry events, and the development of the visibility of chefs, restaurateurs and product enhancements. Fabrizia hello and thank you for accepting to answer some of our questions. Can you tell us what is Cook Design Italy and how was your idea born? This idea was born above all from my love for Italian cuisine and from my desire to bring my contribution to innovation in the sector. 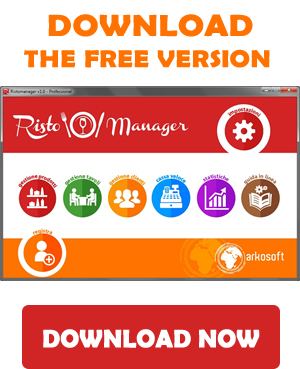 Many colleagues have asked me to help them to propose their business in a different way, through the contribution of the web and in particular social media, tools that are now unavoidable for every type of business. So I offer advice for the development of a brand, restaurant activities not started or to be relaunched or for the enhancement of individual professionals and their creations and above all I offer support in the management of large training and marketing events. In your work, how important was the degree you have achieved in art history with specialization in graphics, drawing and engraving? I would say that it was very important because I have always considered art and cooking 2 similar elements and for me cooking is like painting, and the dish and the ingredients are like the canvas and the colors. Cooking and painting are 2 forms of art that can not be expressed only with technique but need creativity, that comes from the heart and soul. Studying the history of art I understood how it is similar to the history of cooking because both teach us the importance of culture and knowledge. 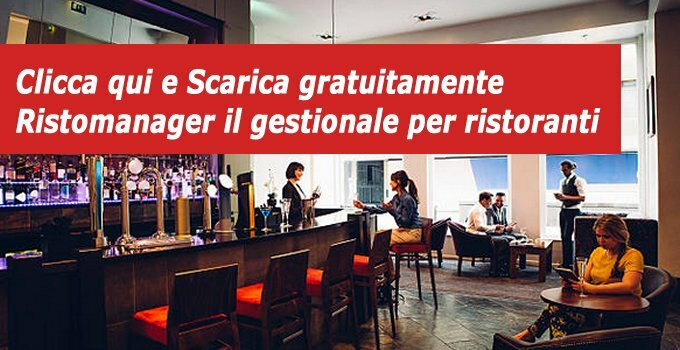 Fabrizia what is your relationship with the cuisine, tastes and flavors of other countries? 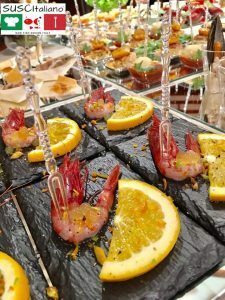 The cuisine is culture and you can not only love the Italian one, also because the same Italian cuisine contains in its history traditions of neighboring lands. I love all the cuisine of the world, and I’m always very curious to know and realize new tastes because only in this way it is possible to create and innovate, through knowledge and discovery. For this reason I have traveled a lot. I was in fact in Mexico, South East Africa and the USA to learn techniques and dishes that have greatly enriched me. I love my job and I’m always looking for new flavors, traditions and stories to bring to the table. And demonstrating this I created a brand www.suscitaliano.com that is based exclusively on the ITALIAN TRADITION of fish, but presented and shared with very special menus that can even have 30 courses, as well as in Japan. I call them small works of taste! It comes from an intuition: eating the best Italian fish, in its traditional recipes but presented in the shapes and with the traditions of sushi! 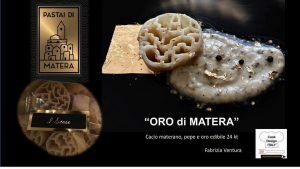 We know that for work you provide advice for the Paciotti family, present in Rai at the Prova del Cuoco with Stefano Paciotti. I’d like to know what you think about the success of the TV programs dedicated to the kitchen. Many television programs are the luckiest and misfortunest of our industry. On the one hand they increase interest, curiosity and approach the world of food, but on the other they create false myths and scientists of the gourmet, those who make the wise in the restaurant just because they saw it on TV. I know what is behind a TV program and I do not deny that I would like it to be “authentic and” “genuine” as what moves the passion for cooking, but it is TV, and therefore should be taken in my opinion in small doses. Thank you for your time in Fabrizia and we look forward to meeting you again in the future. Thanks to you for the chance and a greeting to all readers of Ristomananager, see you soon to tell you about new projects and other stories of art and taste!